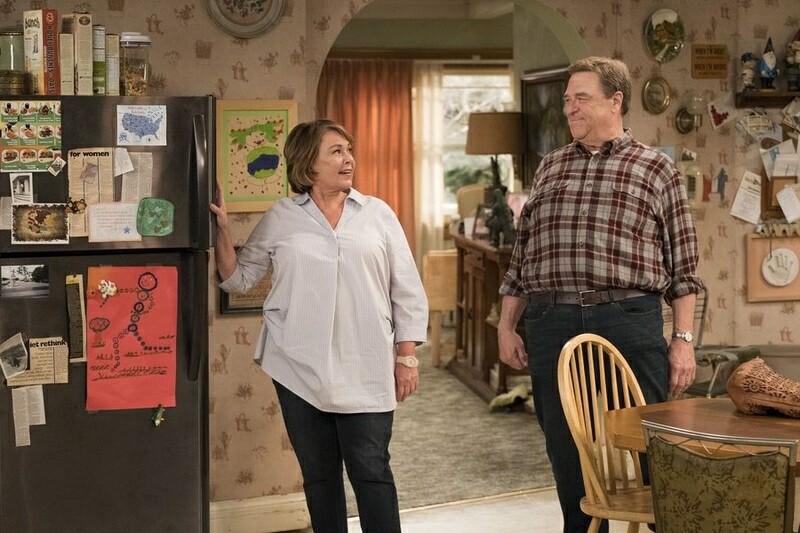 Home » Entertainment & Technology » Roseanne Reboot: 5 Things You Have to Know! Roseanne Reboot: 5 Things You Have to Know! 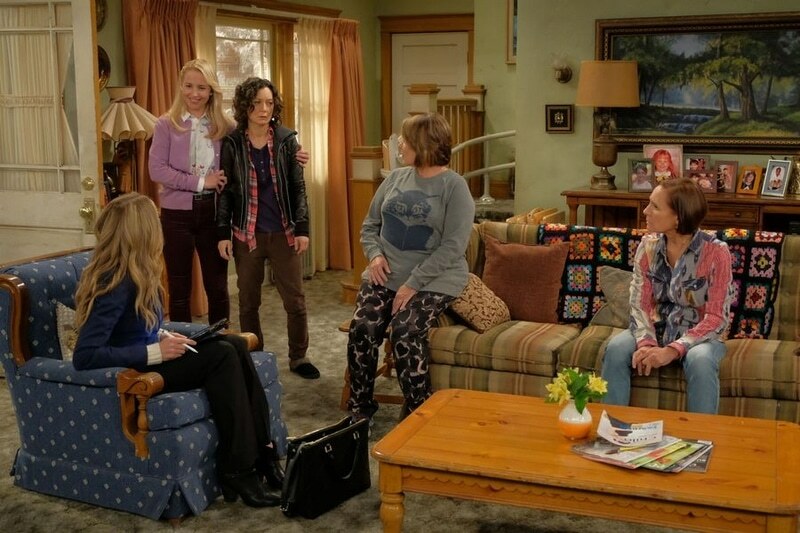 If you were a fan of the Roseanne TV show when you were growing up, I think you’re going to love the Roseanne reboot! 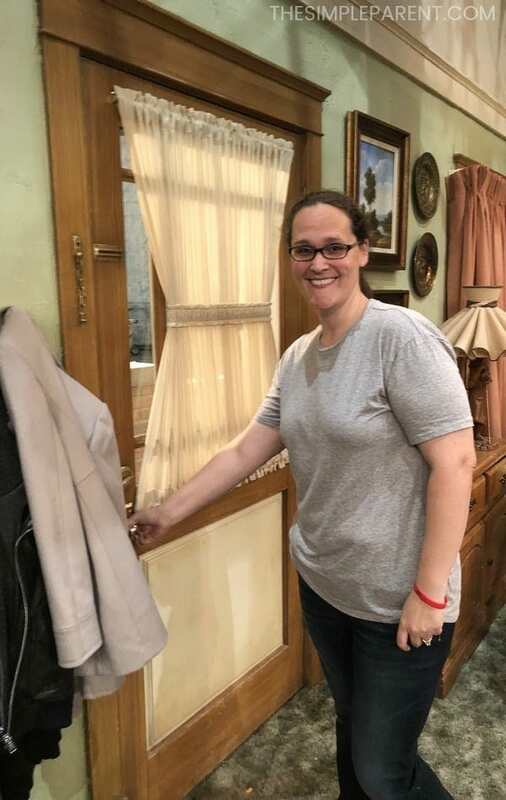 Last year I had the opportunity to visit the set of the Roseanne reboot that is scheduled to premiere on ABC tonight (Tuesday, March 27th) at 8/7c. I was a huge fan of the show in the 90s and am thankful that Disney gave me the opportunity to meet some of the Roseanne cast as part of the #ABCTVEvent sponsored press trip. 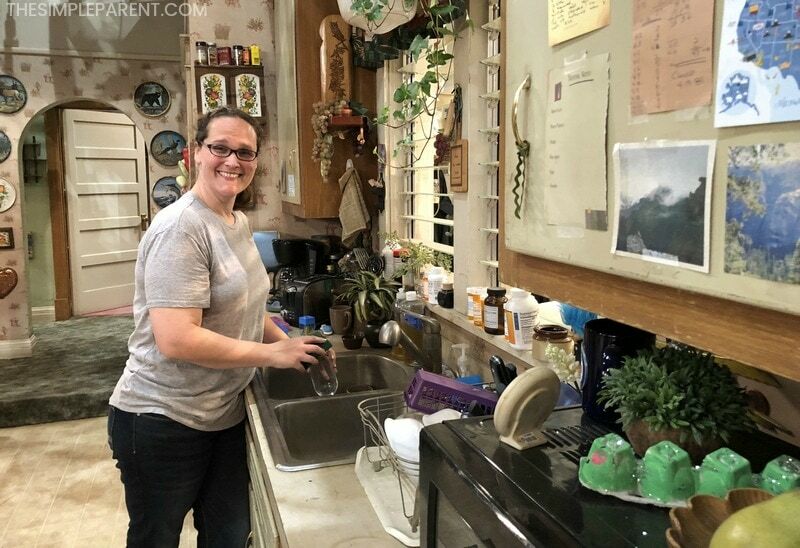 I’m thrilled to share more about the set visit and our chat with some of the cast members! You might recognize some familiar faces! Roseanne first aired in 1988 and was on the air until late 2000. Even now, you can catch syndicated episodes and I think they’re still as great as they were back when I first watched the show! 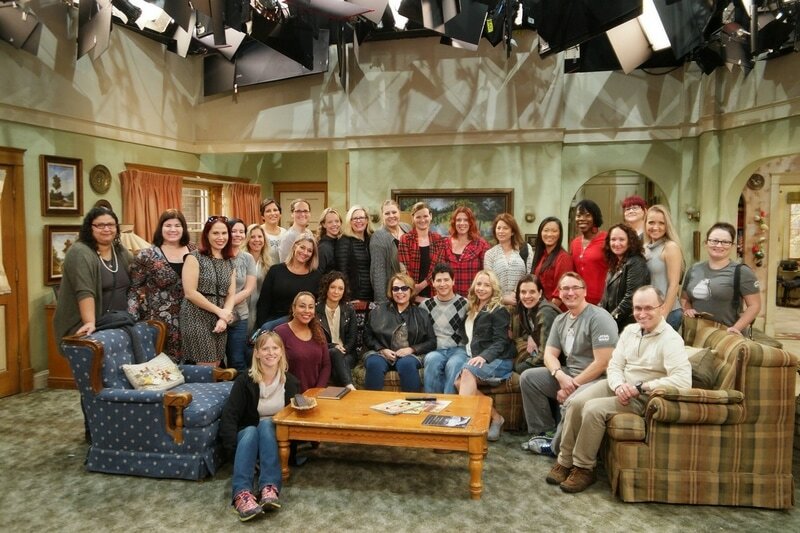 For Roseanne 2018 (as I like to call it), most of the original cast has returned and the Conner home will be the one that you remember! 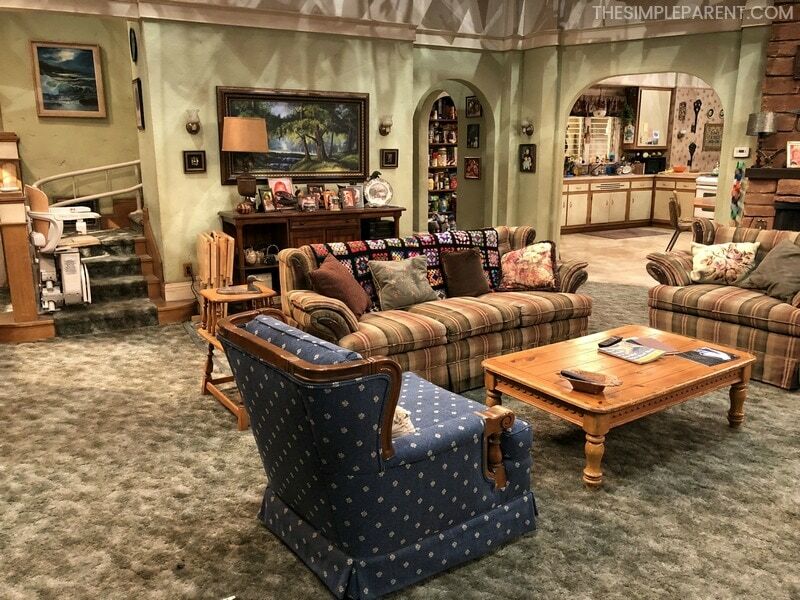 As part of our visit with the Roseanne cast, we also had the chance to explore the set of the television show. It was amazing to experience some of the scenes that I remember. It was crazy to be able to walk through the kitchen and sit on the couch where some of my favorite characters came to life! In addition to spending time on the set, we also had the opportunity to interview some of the Roseanne cast. You might recognize them even if they’re all a bit older these days! We interviewed all three of the Conner kids! If you’re wondering about Sarah Chalke who originally played Becky Conner, she will return in a different role for the Roseanne reboot! Sitting down with some of the actors who have been part of Roseanne since the beginning or close to it was a special experience and I learned a few things that I think every fan should know about Roseanne 2018! 1. SPOILER ALERT! DAN IS ALIVE. The storyline picks up 20 years later (and Dan is NOT dead) where writers thought the characters might be currently. Michael Fishman shared that he felt that in the Roseanne reboot, the show remains intact. It’s all within the context of the show and it will all make sense for the fans! He feels that the writers did a good job explaining where the characters are now and how it all fits together. 2. Sara Gilbert was a pivotal part of bringing the Roseanne reboot to life. Sara Gilbert mentioned to us that she thought bringing Roseanne back at this time was a good time to do it because of the way our country is so divided. She feels that the Conners are just a working-class family like so many people. But a family that can have varying political views while still loving each other. She hopes the show will help unite people and encourage them to listen to each other. Sara Gilbert also mentioned how she didn’t think that everyone would really be onboard. But when John Goodman said he would do it, she was motivated to see if everyone else would get involved. I’m pretty sure I’m not the only Roseanne fan who is thrilled that they all came together to do this project! Even though 20 years have passed, you’ll still be able to relate to the characters. Lecy Goranson shared that Becky is a widow. She works as a waitress and likes to drink. But she’s strong and despite everything, she’s fighting to get her life together. I think we’ve all been there at some point. Dealing with challenges in our lives and trying to keep it together. I know I can relate. Sara Gilbert shared that Darlene is a single parent. David has been in and out of her life over the years but it’s mostly just Darlene getting by with two kids. She’s dealing with that dilemma that so many of us face as parents. Do we try and chase our dreams or do we take the safe path that will help us care for our children? Little D.J. is not little anymore! Michael Fishman told us that the show finds D.J. struggling to re-establish himself after coming out of the military. He is married and his wife is still active in the military. I believe that so many of us can find something to relate to in the adult version of the Conner kids. It’s one reason I’m thrilled to finally see the show return to television! Sara Gilbert pointed out that the great thing about Roseanne is that it’s got both the comedy aspects and the drama aspects. It’s not just a straight sitcom that we all watch for a few laughs. She says it feels like a hybrid of sorts. The Roseanne cast handles everything with humor but sometimes they’re handling some really heavy topics. I think she’s right and I think it’s why so many of us love the show. We’re able to see ourselves in the Conner family. We laugh with them and we cry with them. So be sure to tune in tonight and on Tuesdays to reconnect with the Conner clan! There will be a ton of other familiar faces all season long and you’ll feel like you’ve come home! And don’t worry if you miss an episode, you can get caught up or rewatch past episodes either streaming or on the app after they air on ABC! You don’t have to miss your night hanging out with the Conners! To learn more about the Roseanne reboot and stay up-to-date, get connected! For more movie and TV articles, check out our Entertainment category! « Why Is Volunteering Important? Our Kids Know!